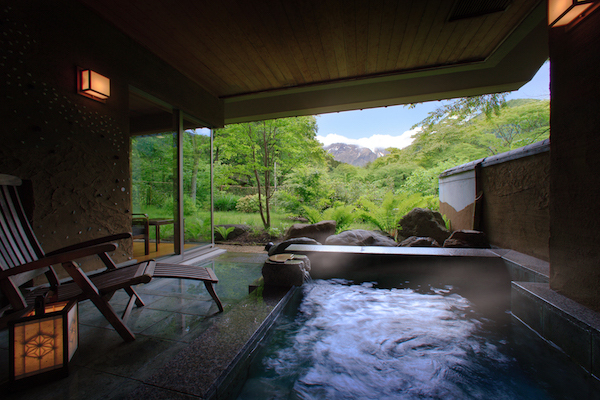 Hot spring ryokan Yagyu no-Sho is one of Japan’s premier inns of high quality and distinction. Yagyu no-Sho presents an unforgettable stay where traditional cuisine, baths, scenery, hospitality, and the beauty of Japanese architecture come together impeccably. 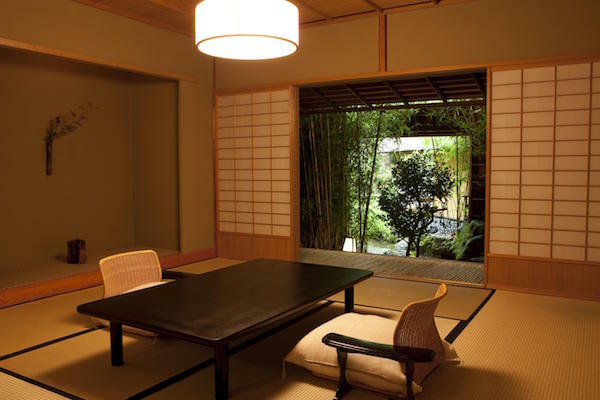 With conscientious hospitality as the staff’s guiding light, you will enjoy a truly unique and wonderful Japanese inn experience. Yagyu no-Sho is a favorite ryokan in Shuzen-ji, situated in a lovely hot spring village in Japan. Located just one hour by Shinkansen (bullet train) from Tokyo on the Izu Peninsula, it is a convenient respite between Tokyo and Kyoto. Spend a relaxing day on foot, meandering along the serene Katsura River visiting a beautiful Zen temple as well as Shuzen-ji’s main shrine. Experience the town’s small bamboo forest and walk along a scenic path that stretches between Shuzen-ji’s vermilion-colored bridges. Venture just an hour away from Tokyo to the mountainous hot spring area of Minakami Onsen, a favorite in Gunma Prefecture. Enjoy an evening at Bettei Senjuan, with views of Mount Tanigawa, with its gorgeous snow-capped peaks in the winter and cherry blossom trees in the spring. Experience true relaxation inside a private hot spring bath in your room, all the while enjoying Bettei Senjuan’s tranquility and unspoiled nature. Dine on Bettei Senjuan’s delicious and traditional food, with a contemporary twist. For the self-directed traveler, Minakami also features whitewater rafting, kayaking, biking, and trekking on nearby Mount Tanigawa.